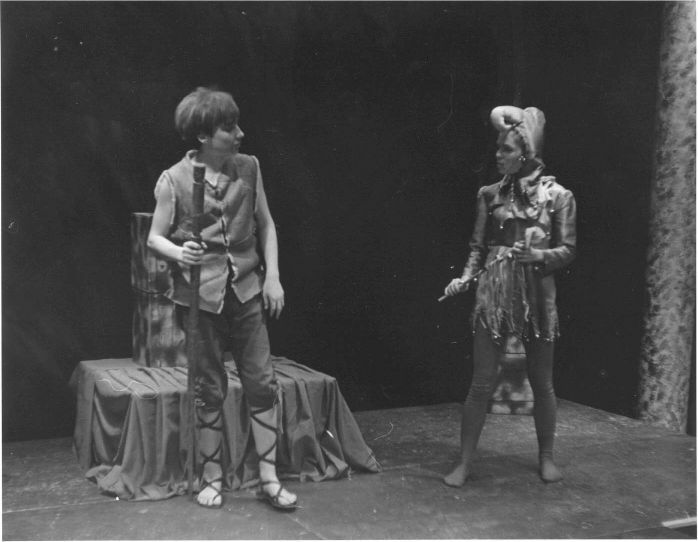 Kathleen Griffin and I in Shakespeare's "As you Like It" - that was one of my best memories. Especially the night she hit me over the head with her stick and the baby powder used to make my hair look grey "puffed" out - made the audience laugh which was key. 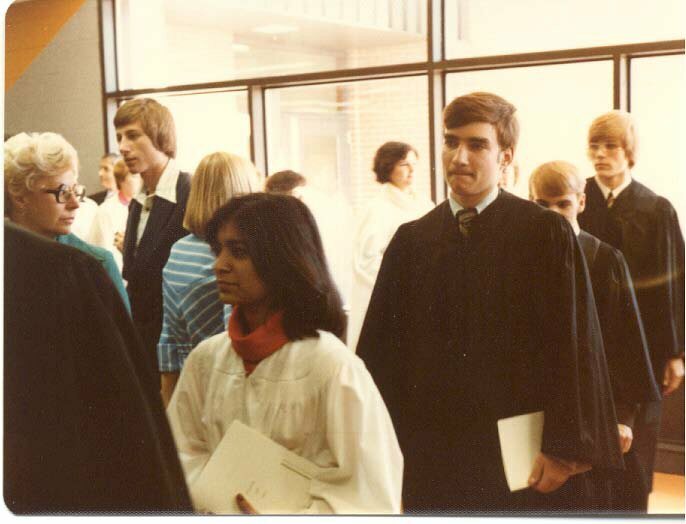 I think this is Sahilja Kheteral, myself, Robert Knox and Gary Kochamba at graduation.